Residential, Relocations, VA Buyers, Short Sales, Investments, Estates, Land, Horse Properties, Acreage, Agriculture, Income Properties, Commercial, Property Management. Casa Foster Advocacy, Boy Scouts, PTA. 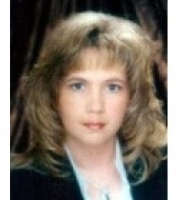 I am a California Native with over 28 yrs experience in Real Estate. I am a top National Agent with multiple Awards and Sales of over 120 properties per year. Hi Roxanna, I just came across your profile on memberagents.com. I'm interested in purchasing a home in your area and would like to talk to you about possibly helping me find a nice home to purchase. Please let me know if you're available to help out. Thanks!